We are proud to present the sequel to Transit... Fracture! Fracture follows directly on from the end of Transit, and once again is a one hour long audiobook by Stephen Gaskell which serves as a broad introduction to the Maelstrom's Edge universe. Fracture continues to follow Kelvin as he and his family go to great lengths to try and escape their Maelstrom threatened world. We've made the first 5 minutes of Fracture available here for preview. 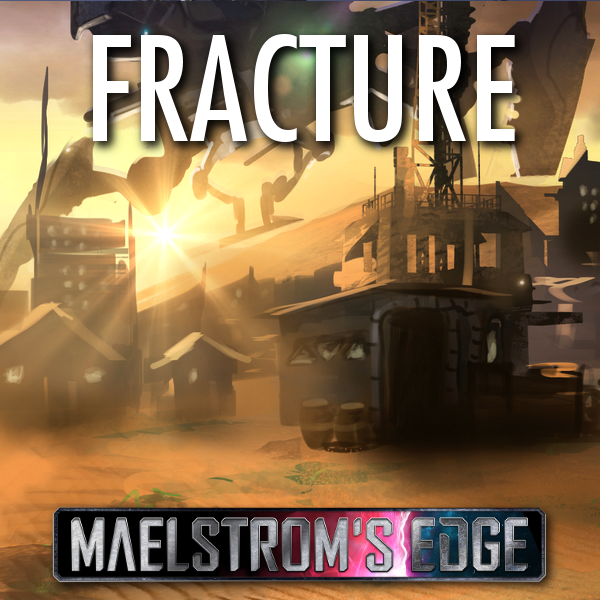 Fracture can be purchased at the Maelstrom's Edge website. As with all of our audiobooks, the pace of narration is deliberately designed to work well for listening to when you are either painting or driving. Painting our models is a massively enjoyable part of the hobby for us, but painting while enveloping ourselves in the universe with an audiobook makes things even better. If you've got a long commute, or want to take your relaxation to the next level when painting, please do check out some of the Maelstrom's Edge audiobooks.